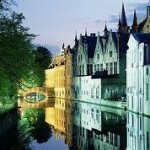 With a boat ride on the Bruges canals, world-renowned, terribly romantic and breathtakingly beautiful, you can explore Bruges from a totally unique and different perspective. A boat ride on the Bruges canals takes about 30 minutes and lets you enjoy many fabulous corners along the main sights of historical, medieval Bruges. 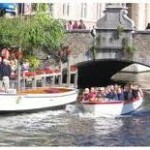 The boatsman-guide overwhelms you with funny facts and interesting info about Bruges. 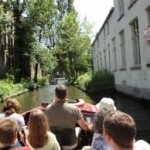 Whether it’s raining or not, a boat ride on the Bruges canals is a great way to explore Bruges and always fun. 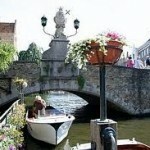 • WHERE: There are 4 or 5 points of departure for a boat ride on the Bruges canals: Huidenvettersplein, Nieuwstraat, Wollestraat and Rozenhoedkaai. • WHEN: From March to November every day from 10h-18h, November and February only on weekends, closed December and January.